There are few things as important to parents as communication with our kids. From the time they’re born we can’t wait to hear what they’re thinking. Like what’s going on in their heads when they spend 20 minutes laughing crazily at a beam of sunshine, and why do they insist on picking up things they find on pavement?!? We want them to understand us when we say, “Don’t draw on the dinner table—this is why we can’t have nice things!” and for them to be able to just tell us what’s bothering them instead of screaming inconsolable toddler-babble about it for two hours straight. 1. 45-minute recaps of their favourite TV programme. 2. “My sock is lumpy. 4. Four-letter words they weren’t supposed to overhear. 5. In-depth descriptions of bodily functions. 6. Any confession involving pens, make up. It’s always an accident! 7. An honest opinion about your new haircut. 8. “Are we there yet? ” One of those irritating questions when you have only been in the car ten minuets. 9. One of those made up jokes that never make sense. 10. “I need” When said at bedtime. I need a drink, where is my teddy, can I have a cuddle. Just go to sleep! 11. Racy lyrics to a song that, in your defence, they didn’t hear the song at home. 12. Any indication they’ve noticed that shop you’re in has a toy aisle. 13. News that the class bear is coming home for the weekend. Its home work for the adults. 14. “Mummy, I dropped my toy again” coming from the backseat, 372 times in a row. 16. “No” That word drives me crazy when I ask them to do something. 17. “I’m not tired” Whilst yawning. 18. The whole nar nar na na na saying. Whether at home or to other children. 19. “I’m hungry” ten minuets after tea or when they see sweets in a shop. 20. “I need the toilet” Normally whilst someone else is already in the bathroom. Even more frustrating when you’re out in town and nowhere near a toilet. Despite all of that, listening to children talk is precious. I never realised this until J came along. He has a speech delay. I noticed at 16 months old he wasn’t saying as much as his sister did at that age. The health visitors said not to worry, however when he was nearly two I raised my concerns again. He didn’t say a lot. They attempted a talk assessment but he wouldn’t cooperate. 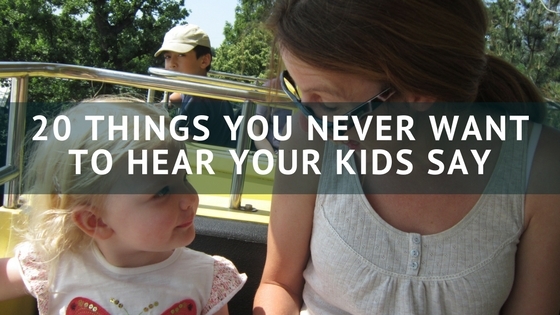 The lack of speech can be a worry, since it tends to signal that your kid could have something else wrong with them. Speech delay can be due to various other problems including hearing loss. The health visitors sent us for hearing tests, the first one showed that he had glue ear. I expected him to end up with grommets. His second hearing test three months later showed that the glue ear had gone. He will however have another hearing test in four months. They didn’t get the whole test done due to distractions. Time has gone by, he is now two and a half and his speech is so much better. He has had another talk assessment and he did really well. There were a few things he didn’t do so we discussed whether to refer him to speech therapy. I was happy to get him referred as there is a 16 week waiting list. By which time the health visitor thinks he wont need it. But we shall see. I rather him be in the system in case he does need it. If your concerned that you child doesn’t talk as much as other kids their age, it is worth speaking to a health visitor or even a doctor. I totally recommend it, if I hadn’t of done things wouldn’t have been followed up. I look forward to the day when we can have a full on conversation, even if it is about trains, cars or telling me all about his favourite program. Another great parenting post to read is Parenting When You Are Impatient , you should have a read. My youngest struggled with speech I was so worried but now at almost 10 she barely pauses for breath. “I can’t find my shoe” is still a form favourite with the teens in this house!! I’m hoping that he will catch up eventually. It’s funny when he gets excited and can’t get all his words out quick enough. No! Is the word driving me crazy in this house! It turns out my two year old is really good at shapes on the landing wall! Pens from his big sisters room! I do have to remind myself that I will miss my kids chatter when they eventually leave home, but right now hearing them call ‘Mummy!’ eleventy billion times a day drives me insane!! Mummy can I have, mummy.. let’s play! Mummy, mummy, mummy! I keep saying I’m going to change my name! I’m terrible with the jokes that don’t make sense. I wait for the punch line then realise that there isn’t one and am never very natural with my laugh after the pause! I struggle with that, They don’t even have a punch line. I try and remember to laugh..
It’s funny. 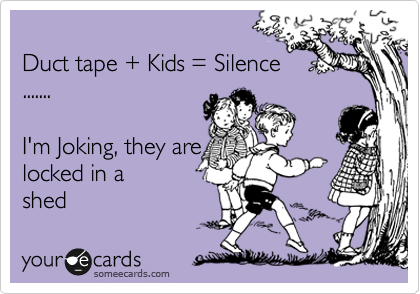 Sometimes all the noise bothers me, but when they aren’t home, when they’re asleep and the house is quiet — it’s too quiet! So I end up playing talk radio, or documentaries, or podcasts as background noise, just to hear talking, so I can concentrate.